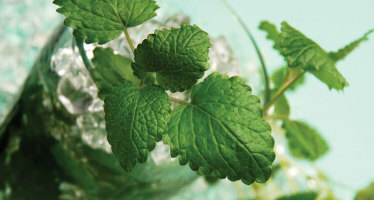 Everyone loves happy hour and we’re no different here at Food & Spirits Magazine. We’ve created a map of some of the tops spots in the Omaha Metro to satisfy your happy hour cravings. We’ll see you there! Brickway Brewery and Distillery is located in the heart of Omaha’s Old Market District. They brew and distill on-premise and offer 15+ beers and 6+ spirits in the tasting room. The tasting room is open 7 days a week and now offers a full food menu. Brickway specializes in bringing quality products to an ever-changing market. If beer is what you desire, they set the benchmark no matter the season. From their flagship Pils to the tasty Coffee Vanilla Stout and an ever-changing list of seasonal beers, they pride themselves on quality. Don’t forget about the spirits either. The American Single Malt whisky and Bourbon are the most popular. Brickway offers knowledgeable tours Thursday – Sunday as well as one of the best happy hours in town. Mon-Thursday is $4 session series beers from 2pm – 7pm. Friday 1/2 price growlers, Saturday Bloody Mary’s and Beermosa’s $5 all day, and Sunday $4 session series beers all day. Cedar began offering happy hour specials in 2018 and quickly made our list of some the best happy hour special in the area. 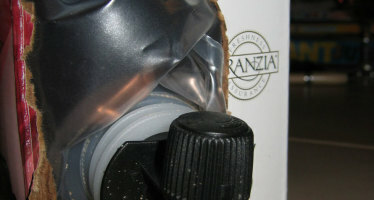 They offer a wine happy hour from 3-5:30 Monday – Thursday, which is 50% off any bottle of wine to stay or to take out. They also offer some tasty gourmet snacks to accompany your wine. The snack offerings always change but on a recent visit they had Au Courant pimento cheese spread, Brün Kow cheese and crackers (salami optional), Omaha Steaks pepper jerky and house mixed nuts. The famous happy hour is what they do at Charlie’s. Happy hour is Monday thru Thursdays on the patio or in the bar from 3 pm to 6 pm. All of their amazing appetizer are half price and they feature $1.00 off all adult beverages. The patio waterfalls and fountains can be enjoyed May thru October. Monday night they also feature open wine night – all the open wine bottle are placed on the bar for you to enjoy at $4 per glass of wine – until they are all gone! For those craving some food along with great prices on happy hour drinks, Dundee Dell offers up a happy hour that has the best of both their spirits and food offerings. As if that wasn’t enough, you can take advantage of their happy hour pricing every day of the week from 2-6 pm. Dundee Dell is known for their high quality well liquors and during happy hour well drinks are only $3. Additionally, any of their drinks, including their nationally-renowned Scotch selection, can be had for $1 off. If food is more what you’re looking for, Dundee Dell has you taken care of with their world famous two piece fish and chips for only $7.99 and their most popular appetizer, the fried pickles, for half price at $3.99 for six big dill pickles. Fleming’s offers a special ‘five six seven’ menu for happy hour, which runs from 5 – 7 pm nightly in the bar. Selections from the menu start at $6 and include choices from five different cocktails, five different wines by the glass and five appetizers. For cocktails, the ‘purely fresh margarita’ and ‘emerald isle’ are available for $6, the ‘whiskey peach martini’ and ‘blueberry lemon drop’ for $7 and the ‘debonair martini’ for $8. Happy hour wines include a sauvignon blanc and chardonnay for $6, a pinot noir and cabernet blend for $7 and a cabernet sauvignon for $8. Blue Moon seasonal beer is available for $3. For food, Fleming’s has you covered with a roasted Portobello mushroom ravioli or house-made burrata for $6, sweet chili calamari for $7 and tenderloin carpaccio or filet mignon flatbread for $8. Additionally, the ‘prime burger’ can be had for $8. Located in Aksarben Village, Herbe Sainte is happy to announce their all night happy hour every Monday from 4 – 10 pm. They also offer happy hour Tuesday through Thursday from 4-6pm. Reverse happy hour Friday and Saturday from 11pm-2am. Their specials include $1 off all beers, a daily cocktail for $6, $5 house wines (red, white, or rosé), and 25% off all of their fresh from the Gulf oysters and peel and eat shrimp. Their regular hours are Monday through Thursday 11am-2pm and 4 – 10pm, Friday and Saturday 11am – 12am, and Sundays we offer brunch from 12pm – 4pm and stay open until 8pm. Herbe Sainte is a New Orleans themed restaurant and cocktail bar. From classic drinks and dishes like the Sazerac and crawfish étouffée (a vegan étouffée is available as well), to more modern recipes like the ‘bywater’ or crawfish cheesecake with a spicy meunier sauce –they’ve got something interesting for everyone to enjoy. Herbe Sainte was opened in October of 2016 by SamFam, LLC which includes Ron Samuelson, formerly an owner at M’s Pub, and his two nephews Justin and Aaron Halbert. They are very excited to be a part of this community and look forward to serving all of Omaha. Jams, an Omaha restaurant legacy, is an American grill that offers a melting pot of different styles and varieties of food dishes containing high-quality ingredients paired with the optional cold drink or creative cocktail. The original Jams Midtown is located on 78th & Dodge and offers great drink and appetizer specials from 3 – 6pm, Monday thru Friday. Happy hour appetizers include: herbed ricotta &bacon crostini, bbqchicken quesadilla, house-ground meatballs, short rib tacos, fish tacos and our famous ginger pork potstickers – all just $7. Happy hour drink prices range from $4-$7: seasonal beer, Jams sangria, Kentucky punch, P.G. martini, Jams cosmo, Beverly Hills bubbly or dirty tini. Jams Old Market opened in 2015 and boasts the best patio in the Old Market where you can enjoy drink happy hour drink prices on seasonalbeer, Jams sangria, Kentucky punch, P.G. 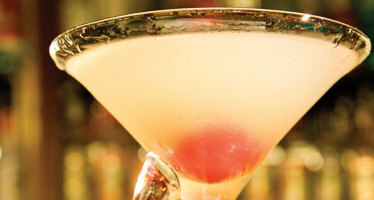 martini, Jams cosmo, Beverly Hills bubbly or dirty tini with prices that range from $4-$7. Happy hour appetizers include: bbq chicken quesadilla, firecracker shrimp, caprese pizza, house-ground meatballs and short rib tacos. All $7. You won’t go wrong with Jams happy hour, Monday thru Friday, 3 – 6pm. Voted ‘Best Happy Hour’ in the OWH Omaha Choice Awards. Coco’s happy hour is Monday thru Friday from 4 pm – 6 pm. They’re drink specials don’t disappoint; $5 red and white wines, $5 classic cocktails, including Mules, Manhattans and Martinis, and $3 tap beers. To go with your happy hour drink, J. Coco also offers up some delicious food specials, all for just $6. You can’t go wrong with the short rib tacos, Portobello fries, roasted dates and tater tots, but there are many more selections to choose from. Little Espana has a $6 happy hour Mondays, Wednesdays and Fridays from 4 pm to 6 pm. They’re happy hour special include both tapas and drinks. For tapas you can choose from fresh mozzarella rolls, various types cocas (Spanish flatbread), fried calamari rings and marinated grilled chicken skewers. Happy hour drinks include house red and white wine and house sangria every day, and a special on each day. Monday is all specialty drinks, Wednesday is the house fresh margarita and Friday is the cran-apple martini and the lemon drop martini. Mantra Bar and Grille offers one of Omaha’s best happy hour menus. The “edgy” yet “elegant” environment is attractive to all clientele. Happy Hour is Monday thru Friday from 4:30 till 6:00 pm featuring: $4 Margaritas, $4 house wines, $6 Signature C Mantra Craft cocktails, as well as $6 selected sharable plates. Looking for a fun brunch get together? Mantra’s highly popular brunch offers a wide spread of delicious brunch food items with their own Mantra twist. “Endless” Mimosas on Saturdays and Sundays come in three fun flavors and are $16 and only a penny for each refill. They are open Mondays at 4:30, Tuesday thru Friday 11 am till 2 pm then open back up for happy hour at 4:30, Saturdays at 10 am all the way till late night drinks, and do it all over again Sunday morning at 9 am. Don’t forget, Sunday and Monday nights after 3 pm are half priced bottles of wine. At Railcar Modern American Kitchen, they specialize in the classic American dining experience. Made-from-scratch comfort food, craft cocktails and a friendly, knowledgeable staff, all delivered in a warm, cozy atmosphere. Stop in to try their house-smoked ribs with a signature cherry barbecue sauce, or their succulent prime rib (Fri& Sat night), or their house-baked apple pie topped with rich vanilla ice cream. Railcar makes the promise that once you’ve dined there, you’ll travel back for more. Come experience the delicious wood-fired cuisine at Timber Wood Fire Bistro. With a roaring hearth and warm atmosphere you’ll feel at home the moment you walk in. Enjoy their wood oven-baked sour dough bread service with herbed California olive oil or locally whipped butter. Try one of their pissaladière — French style pizzas — wood fired to perfection. Select from one of the fresh-from-the-fire entrees including their house-made rigatoni with roasted vegetables, herb crusted bistro steak and cedar planked steelhead salmon. All of their meals are made-from-scratch and served with care by an experienced staff. Everyone needs some down time to unwind with your pals, have a bite to eat and enjoy a beer, a glass of wine or a well-made cocktail. 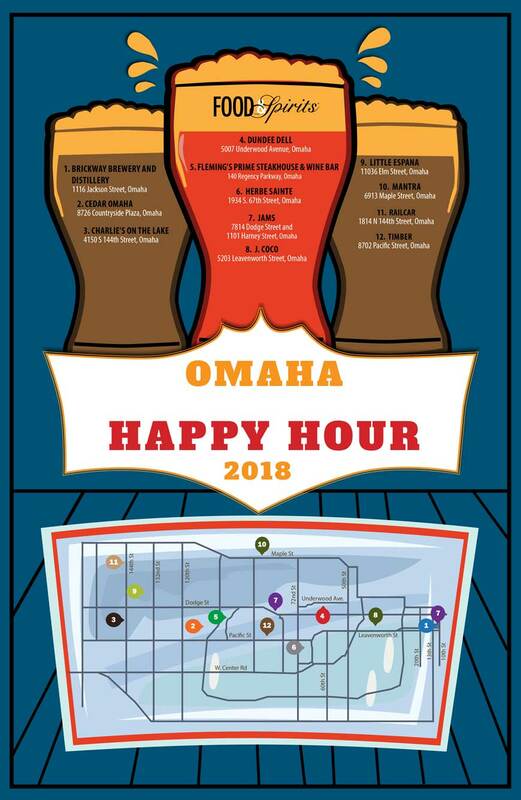 There’s no shortage in Omaha of happy hours to enjoy, so make the rounds and have a few rounds with friends as you follow the happy hour map from Food & Spirits Magazine!